Our advices aim towards the right tea experience and a fitting selection for your guests. On the other hand we would like to make sure we deliver a workable format for your staff. We would like to educate your staff on the products that we offer. How does it differ in quality? What are the origin(s) and production method(s)? What does this mean for flavour and notes? 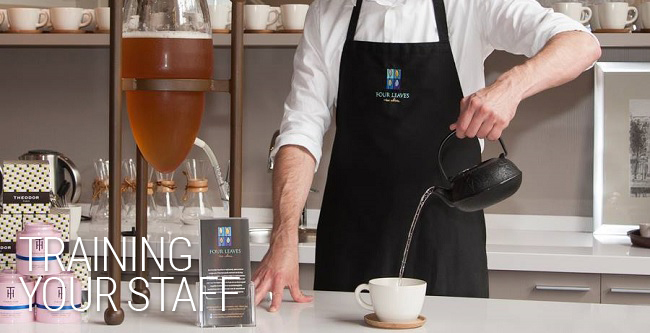 And (of course): How to prepare the product in the best way, so your guests will have an excellent tea experience? Great tea starts with giving attention to a few details. Often this will be a process of awareness for your employees. If a training is desired we will organize this in consultation with the client.